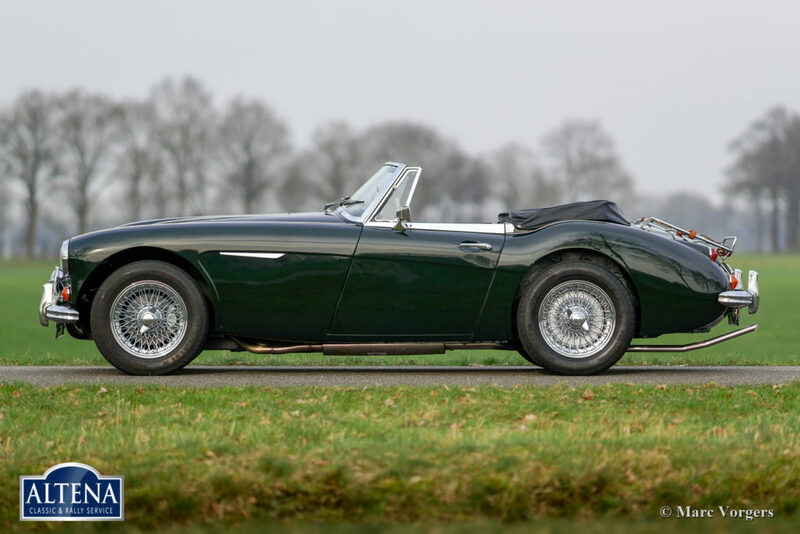 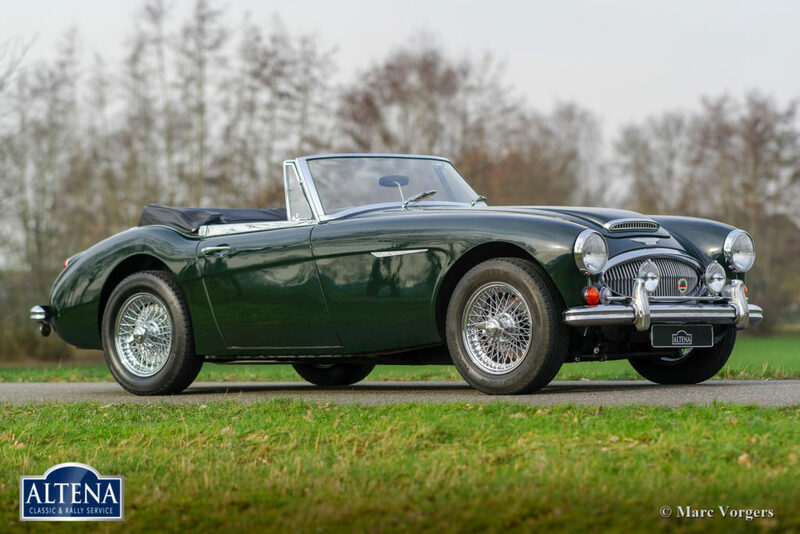 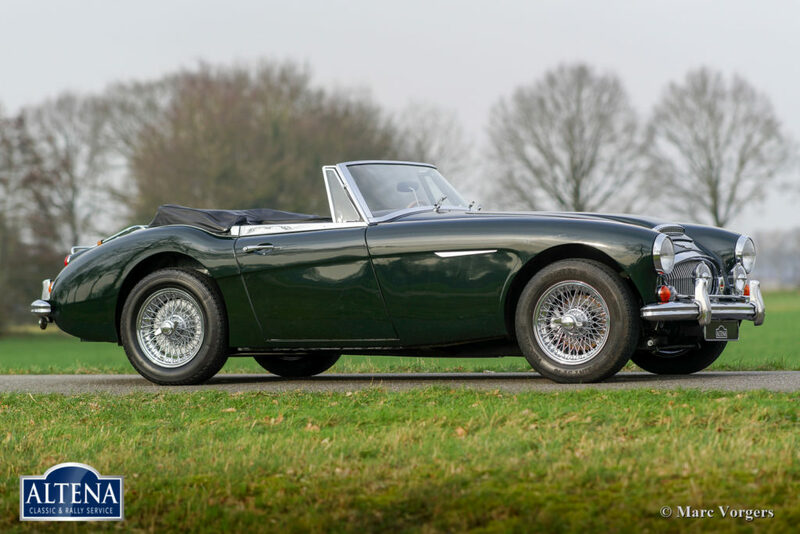 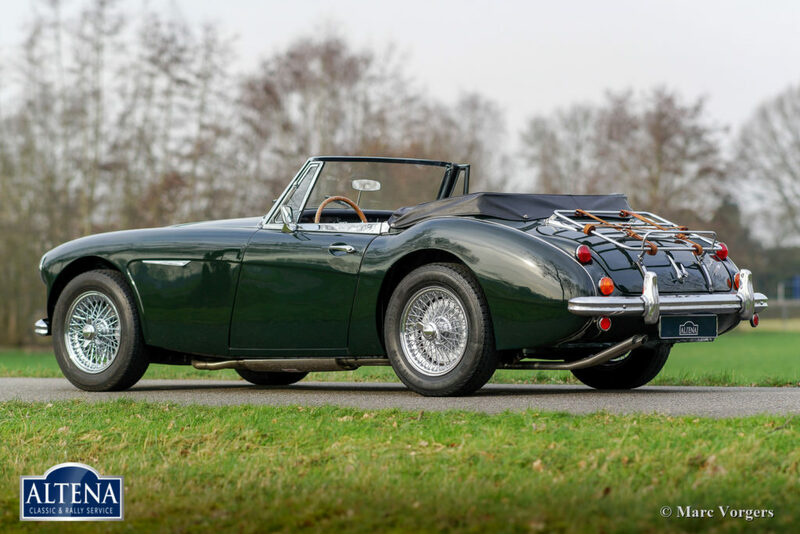 Austin Healey 3000 Mk III phase 2, year 1966. 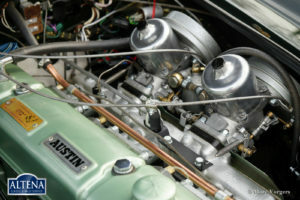 Chassis number HBJ8L-3483X, engine number 29K-RU-H222X. 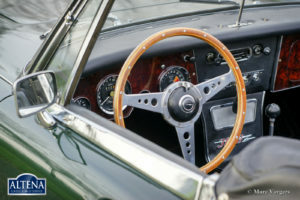 Colour British Racing Green with a black leather interior and black carpet. Black soft-top and hood-cover. 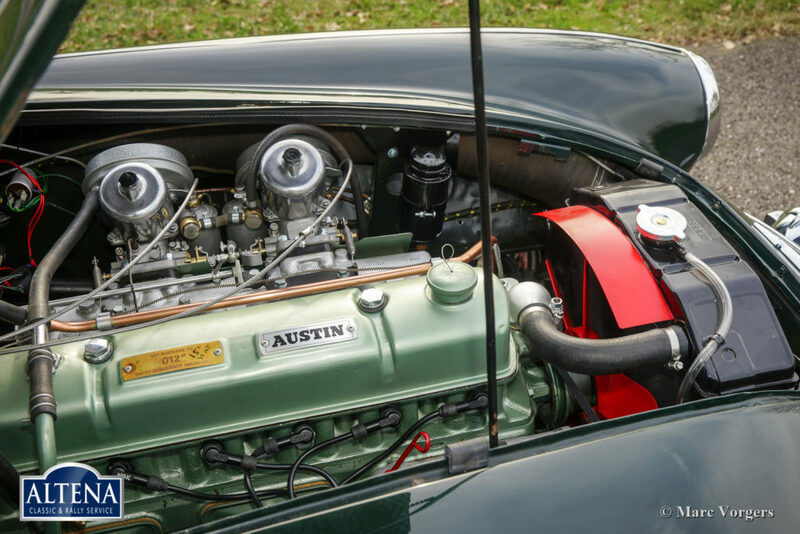 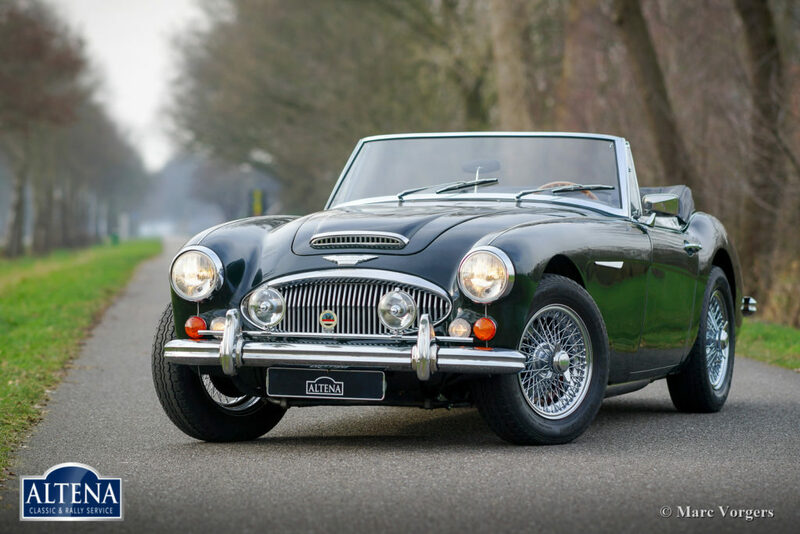 This beautiful ‘Big Healey’ of the final Mk III phase 2 series was sold new in the USA. 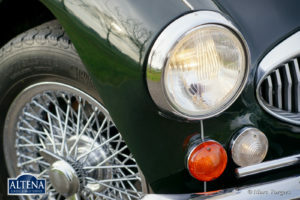 The automobile was imported to the Netherlands in the year 1995. 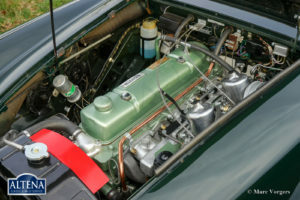 Then the car was extensively restored to top condition. 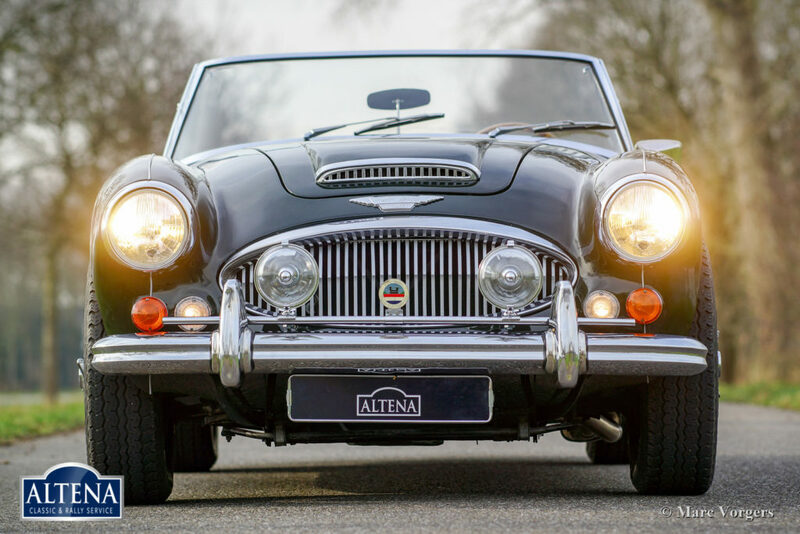 Altena Classic Service sold to the last owner in the year 2002. 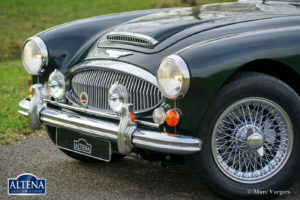 Ever since, the car was serviced and maintained very well. 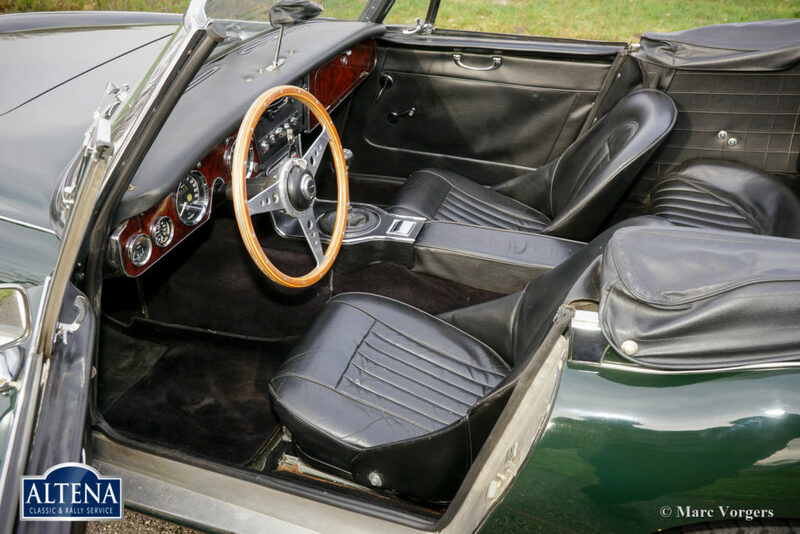 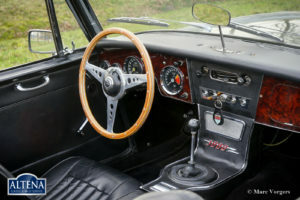 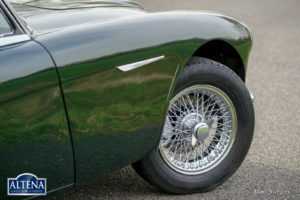 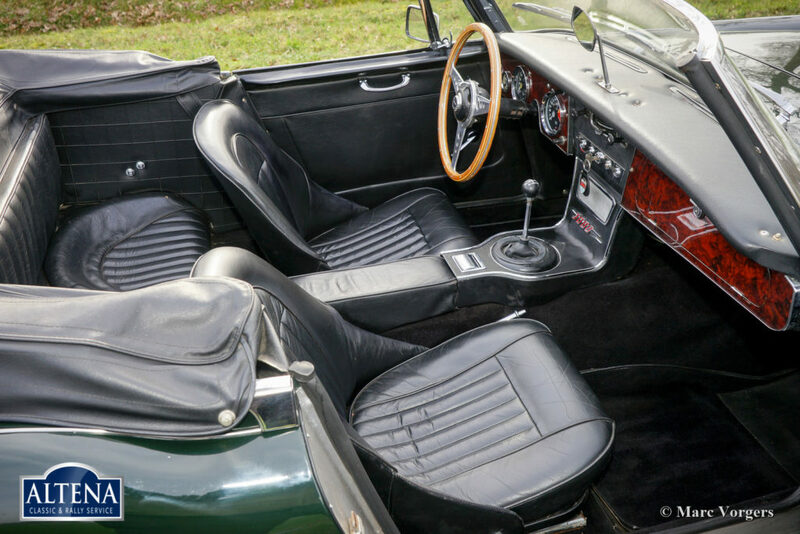 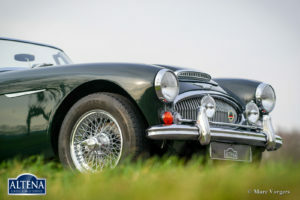 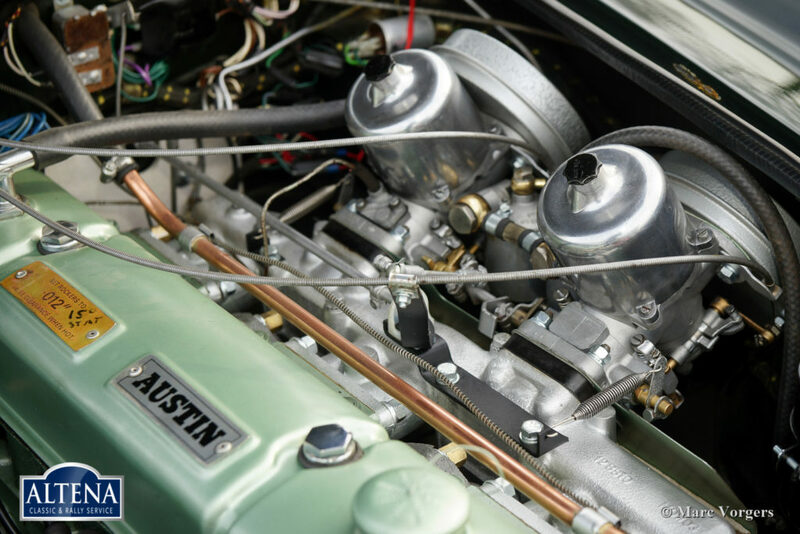 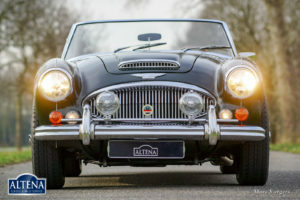 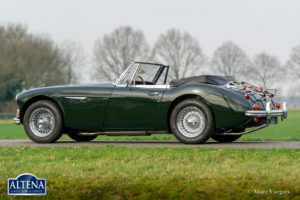 This magnificent Austin Healey is in very good condition and the car drives perfectly! The car looks a picture and the engine-bay is looks spotless. 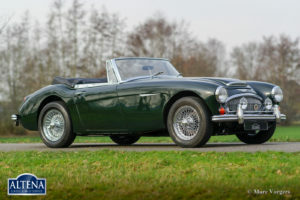 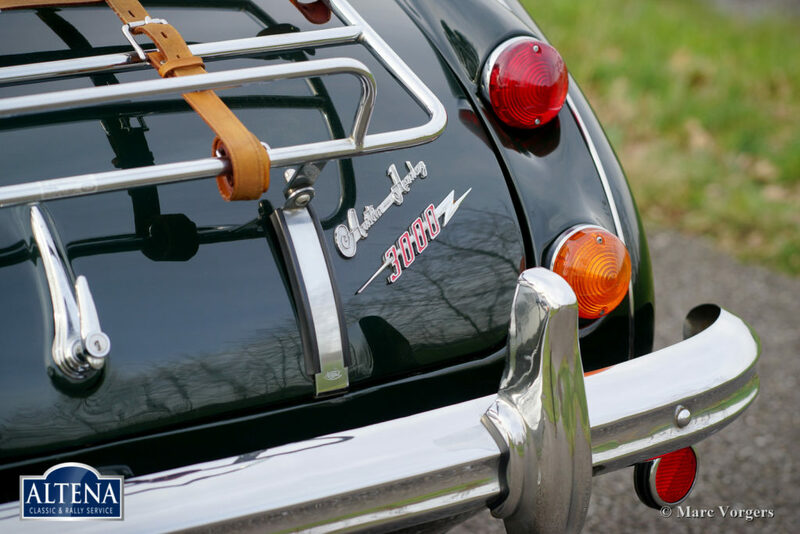 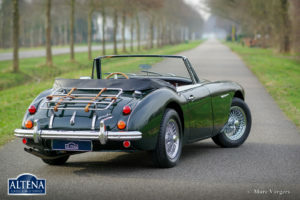 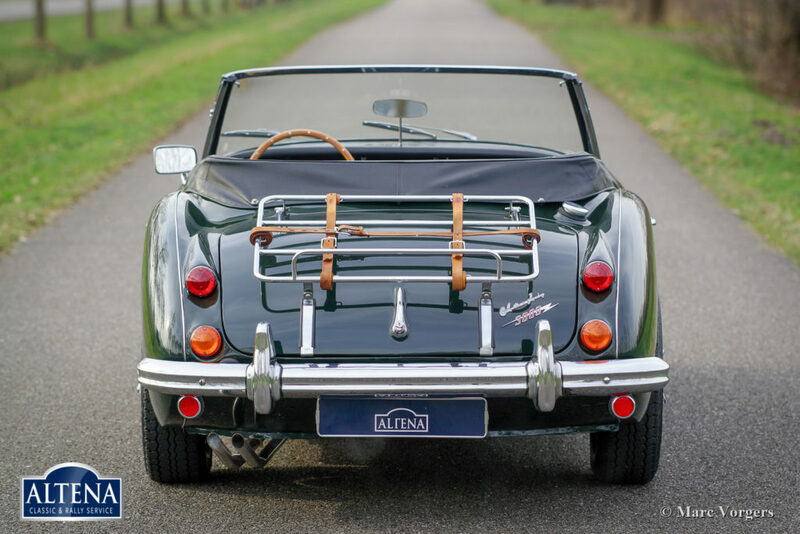 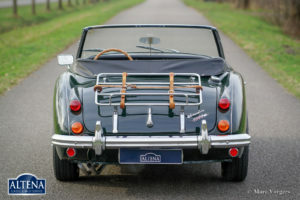 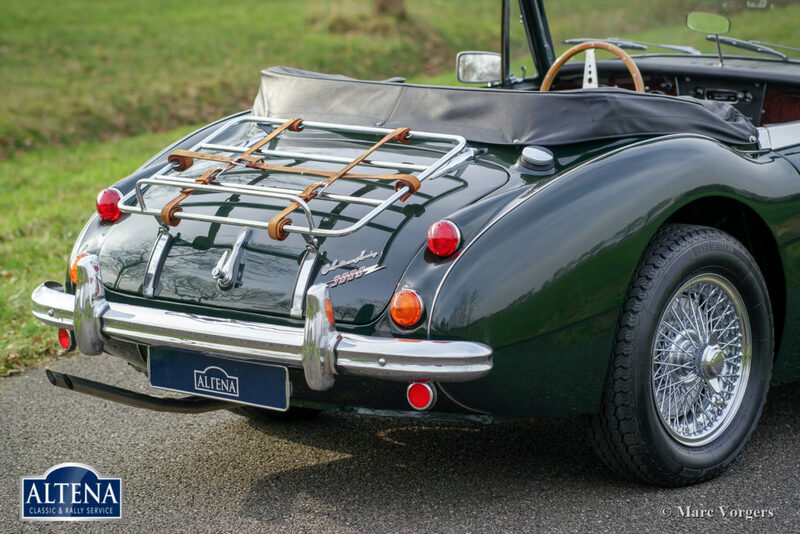 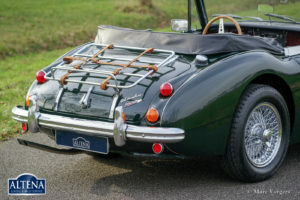 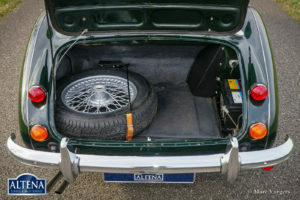 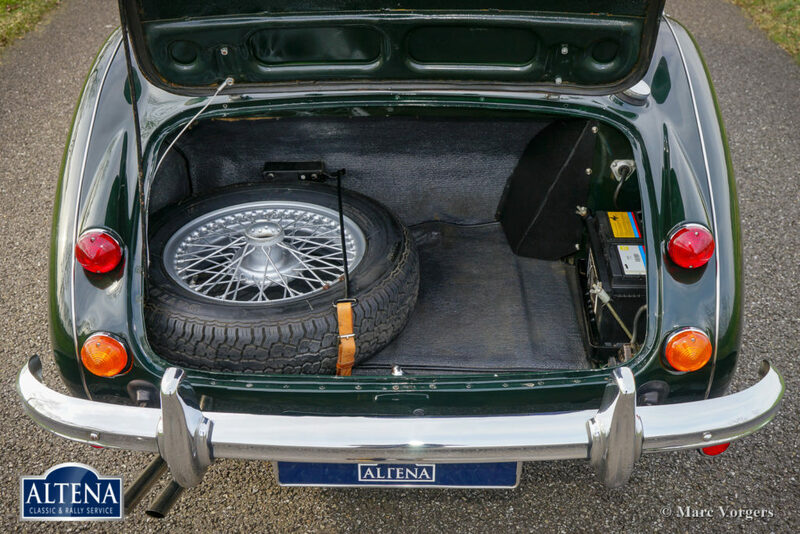 The car features chrome wire wheels, chrome ‘knock-off’ wheel-nuts, Vredestein Sprint Classic tyres, a chrome ‘badge-bar’ with a pair of Lucas spot lamps fitted, a chrome luggage rack complete with leather straps and a Stainless-Steel exhaust system. 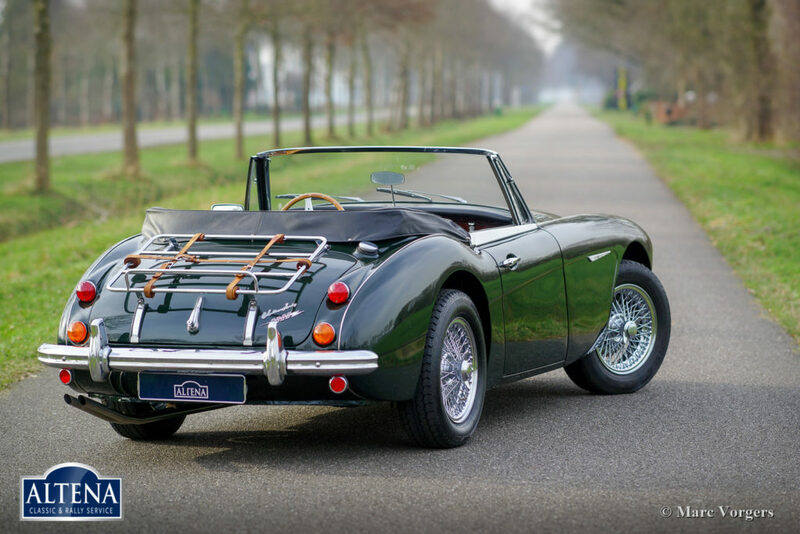 This final Austin Healey model features the easy to erect convertible-top and rollup windows. This fine ‘Big Healey’ is ready for any road-trip!